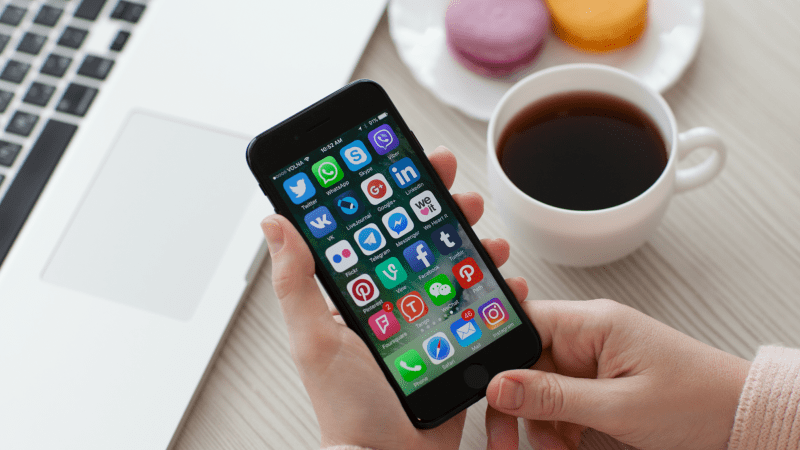 Great phone apps for a better work life! We’ve scoured the the internet for the best apps for principals. Want to be productive, organized, engaged and connected with your staff? Yes, there’s an app (or three) for that! You can make your principal life easier with a touch of your smartphone. Here are the ten best ones every principal must download now. Great reference if you’re popping into the classroom or get caught off guard with a question from a parent, teacher or even student! Because every great manager needs a to-do list they can get through. This app manages everything from your daily tasks to fitness routine. The catch? Check off your goals and Carrot rewards you. Miss a task and Carrot doesn’t hold back on the disappointment! Working on a big speech or presentation and NEED to focus but you can’t stop checking your email, Facebook and the zillions of other distractions on your phone? Forest has an incentive to keep you focused on your work and away from your phone. Keep the Forest app and ONLY the Forest app open—a tree grows during the amount of time you need to complete your work. Leave the app? Well you don’t want to be responsible for killing a tree, do you? Take observations up a notch. This app allows you to combine handwriting, photos and typing in a single note, bringing it all to life. You can even add and annotate PDFs. Why limit yourself with the way you take and manage all your important notes and thoughts? Sick and tired of losing track of all the papers on your desk? What if you were paper free instead? This app lets you seamlessly scan all the important papers and then save or share as needed. Touch base with your staff in real time with text messages you can send straight to their phones. A great tool for school wide messages that need to be sent out in a hurry OR keeping everyone on your team connected. It’s also a great way to inspire your teachers to start using with their classroom parents too. Use it for note taking at all you meetings and keeping up with your to dos for school and home. shopping tab, and use it for both home and school. Organize all your items how you feel it works best and then sync it all up so you can access from your computer, tablet OR phone! This messaging app works in several “modes.” You can put it in walkie talkie mode or send/listen to real time messages. You can also start large group chats and send anything from photos to GIFs. Voxer is great for informal observations because you can record a message while you’re still feeling enthusiastic and positive to the teacher. Recording, copying the link, and sending an email from your phone takes less than a minute and as a bonus, the teacher does not need the app to hear the message. Cognitive coaching has an app. I use it to help me build capacity in staff and remind myself that most of the times you need to coach them to allow them to find their own solutions. Your favorite office supply in app form is a true, brainstorming game changer. Take notes and use the little squares to place your ideas in a grid or however you want to organize them. Then, share with your team so they can build on the ideas. Drop everyone’s brilliance into PDFs, Power Points, Excel, Dropbox and more. Spark big discussions and creative thinking at your next faculty meeting by posting topics and questions ahead of time. Have everyone record, upload, view, react, and respond short videos that support what you’re asking. Then watch in real time the story you’re telling together. This is another great resource to use with teachers so they’re inspired to use in their classrooms too.